Guangdong Southern Tigers (CBA) signed 32-year old American swingman Sonny Weems (198-93kg-86, college: Arkansas). He played last season at Anadolu Efes in Turkish BSL league. Weems managed to play in three leagues in two countries last year. In 15 BSL games he had 12.9ppg, 3.4rpg and 3.1apg. He helped them to make it to the semifinals. Weems also played 6 games in Euroleague where he recorded very impressive stats: 15.5ppg, 3.5rpg and 4.0apg. The other team he played that season for was Zhejiang Chouzhou (previous name Zhejiang GB). In 38 CBA games he averaged remarkable 31.7ppg, 8.0rpg, 5.9apg and 1.6spg. 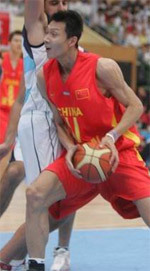 Quite impressive season as he was named to Asia-Basket.com All-Chinese CBA Honorable Mention. In 2008 Weems was drafted by Chicago Bulls (NBA) in second round (39th overall). He attended University of Arkansas and it will be his eleventh (!!!) season in pro basketball. Weems' team made it to the Israeli Winner Cup final in 2017. He is quite experienced player. Weems has played in four different countries on three different continents (Europe, Asia and of course North America). He has played previously professionally in Lithuania (Zalgiris), Russia (CSKA Moscow), NBA (Denver Nuggets, Phoenix Suns, Philadelphia 76ers and Toronto Raptors) and Israel (Maccabi Fox Tel-Aviv). 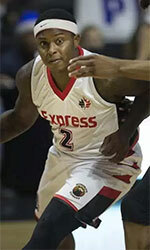 Weems could be described: An explosive leaper who can score. Has a good outside shot (with also 3pts range) and his elevation and wingspan allow him to knock down shots over defenders. He' s also a decent rebounder and a good FT shooter, but needs to improve his ball handling and defensive skills.